Maximize your business’ exposure by attending the NVCC’s popular Noon Networking at Davio’s in Patriot Place. The structured networking is high-impact with great returns on your investment, and is your opportunity to start building relationships with other members of the business community. A delicious lunch is part of this great event. Reservations are required and can be made by visiting www.nvcc.com, or by calling 781-769-1126. 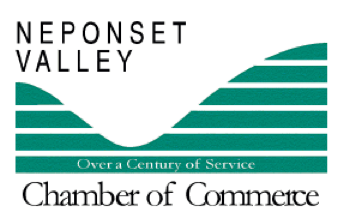 Established in 1894, the Neponset Valley Chamber of Commerce serves the needs of businesses in a twelve- town region stretching from Route 128 to Route 495 southwest of Boston. The NVCC supports the business community and economic development efforts by providing leadership, advocacy and opportunities for expanded and enhanced relationships among business, government and the community. For information on membership or doing business in the region, please contact the Chamber at 781-769-1126, www.nvcc.com or Cristoff@nvcc.com.